Please be 100% sure of the correct network before submitting an order. If an incorrect networks IMEI is submitted you may not be refunded (depending on suppliers policy). Please order our network checking service if you are unsure of what network your phone is originally locked to. Do not submit iPad IMEIs using an iPhone unlock service as no refunds will be issued. If you are unlocking a pre owned iPhone be sure to turn off "find my iPhone" (Settings/iCloud/Find my iPhone) before updating to iOS7. If you do not do this your phone will be stuck at the iOS7 activation screen and will require the original owners iCloud details before it will activate. UNFORTUNATLEY WE ARE UNABLE TO OFFER ANY REFUNDS FOR PHONES THAT HAVE BEEN UNLOCKED BY US THAT REQUEST THE ORIGINAL OWNERS ICLOUD INFORMATION. Plase read and agree to our iPhone/iPad Factory unlock terms and conditions. 1. After receiving unlock confirmation by email please check that your phones "Find my iphone" feature (Settings/iCloud/Find my iPhone) has been turned off and all old user data has been wiped. 2. 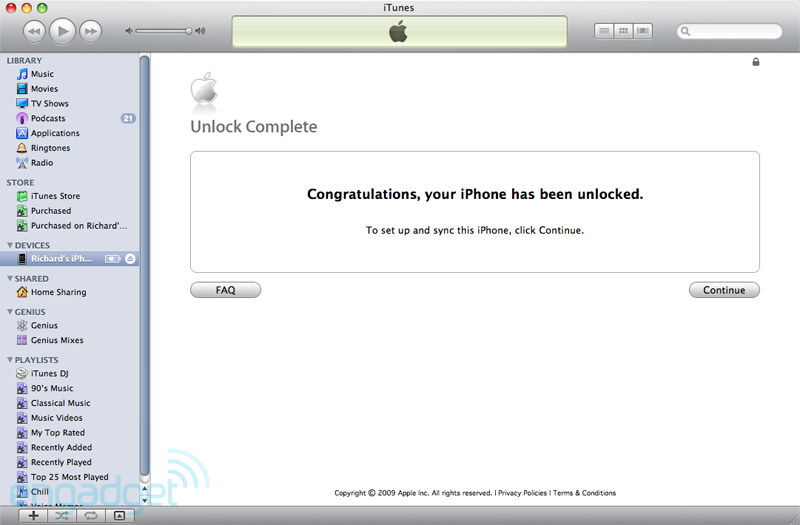 Once you are sure that the above steps have been completed, Insert a non-accepted SIM card into the phone & connect to iTunes. 3. Once connected, disconnect the phone & reconnect after ten seconds.